Decorate your home with Living Room Canvas Prints that everyone can enjoy. Photos from your personal library and from Instagram make any space unique and personal. Create Living Room Canvas Prints as housewarming gifts to family and friends! Our complimentary retouching will ensure that you get impeccably high-quality results. 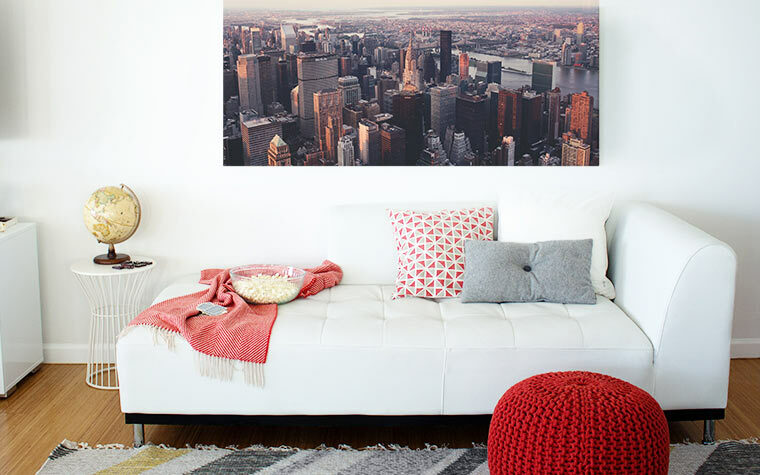 Customize your Living Room Canvas Prints into a fun photo collage or an elegant single photo statement piece.